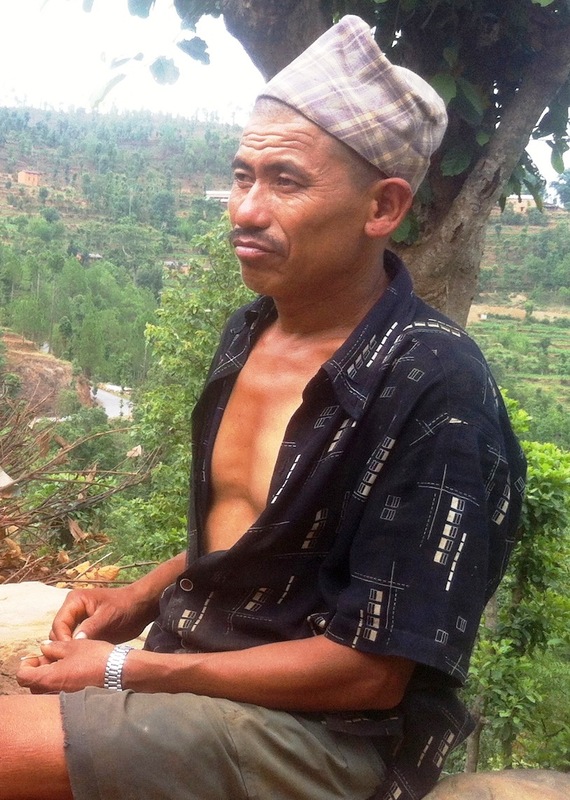 Manbahadur Tamang’s family of six are subsistence farmers in Kolpata village, Sindupalchok District, 150km southeast of the Nepali capital Kathmandu. They lost this year’s entire maize crop to heavy monsoon rains in June, and now, for the first time ever, family members have been forced to look for work as day labourers. Two teenage sons have had to drop out of school. What is your monthly salary? I don’t receive a monthly salary. Every six months I earn US$600-800 from each harvest. What is your household’s total income - including your partner’s salary, and any additional sources? My wife helps in the farming and household chores. I don’t have any other additional income. How many people are living in your household - what is their relationship to you? Two teenage sons, two teenage daughters and a wife. How many are dependent on you/your partner's income - what is their relationship to you? All five members of my family are dependent on me. What is your main staple - how much does it cost each month? Rice and vegetables/$50. How much do you spend on rent? I own my own home in the village. Have you or any member of the household been forced to skip meals or reduce portion sizes in the last three months? Not yet, but likely if we run out of cash. Have you been forced to borrow money (or food) in the last three months to cover basic household needs? Yes, from the local high-caste landlords at high interest rates. “Without cash, we can’t buy food and it’s expensive nowadays. We can’t borrow any money because the interest rates are too high and the government doesn’t provide any subsidies for farmers - even when we lose everything because of the weather. “Over the last three months, we have managed to survive but the money is not enough to support all of us. “If I went to Kathmandu I could find work, but then I would need to rent a place and spend even more money on food. “The price of rice is almost double what it was five years ago. Now I fear food prices are going to rise still further. “Until now, we have managed to eat regular meals and we can still afford rice. However, the prognosis doesn’t look good.